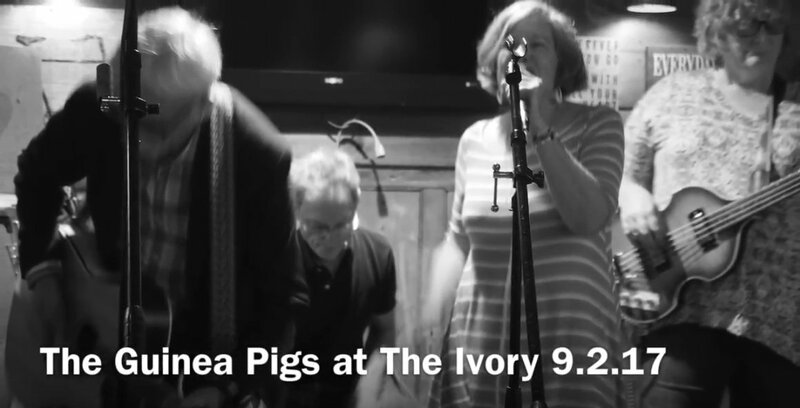 We snuck down to Deep River last fall for an All Originals set at The Ivory Pub & Restaurant, home to The Ivory Sessions. They recorded our set and mixed it down for us and we're thrilled with the final product. GP guitarist and techie Dan added some photos and posted the songs to YouTube. We're so glad to be able to present some of our newer songs (Little Pictures, Just Around the Corner) which we've not had much success recording live. See them all on our Video Page. Great photo of four very intent musicians.